In the life of every business, from startup through maturity, questions arise as each new situation is faced. At the edge of any business person’s knowledge and experience is the unknown. 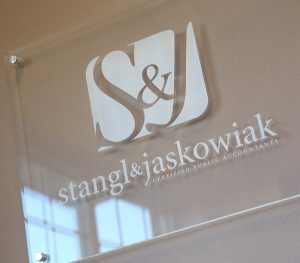 That’s where the knowledge and experience of Stangl & Jaskowiak can help. In other words, we’ve “been there” before, studied the situation, and guided others through the same concerns and circumstances. Equipment — should it be purchased or leased? Inventory — how can we manage it better? Acquiring another company — or being acquired? Who takes over for you — and how? When exploring these and other issues, our goal is to help minimize your expenses and downside, while maximizing the opportunity in terms of both revenue and personal satisfaction. And always with an eye towards the federal, state and local tax codes so that you keep all that is rightfully allowed.